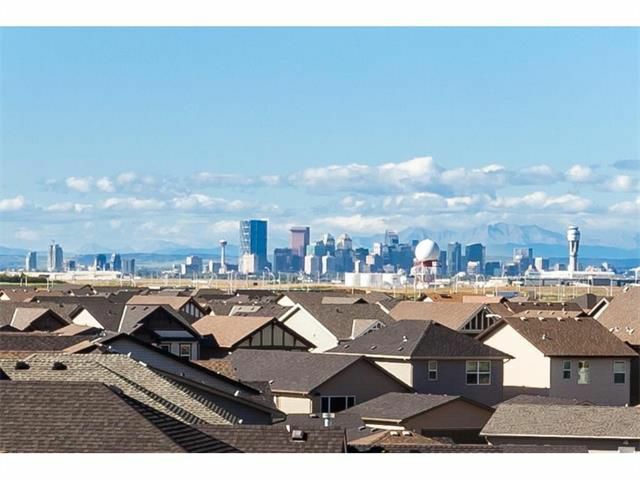 TOP FLOOR, UNOBSTRUCTED MOUNTAIN and DOWNTOWN VIEWS!! Everything you could need: Absolutely stunning unit in SkyWest, built by the award winning Truman builder, with 2 bedrooms, 2 bathrooms, a HEATED underground titled parking stall, a separate storage locker, a full size front load washer & dryer, your pets are welcomed and the condo fees are only $287.52! Everything you could want: An OPEN PLAN, STAINLESS STEEL appliances, GRANITE countertops, warm and durable CORK flooring, full height cabinets, a spacious master with a large walk through closet, a huge in-suite storage room, patio doors from the living room that lead to a West facing balcony with gas BBQ hook up! This warm and inviting home make it easy to entertain friends and family, who may be so comfortable, they may never want to leave! Call myself or your favourite Realtor to view! !